Ready to drive a sporty sedan with room for the family? The 2017 Jaguar XE Premium is fun-to-drive with exceptional handling. It also has a variety of advanced technology and offers a comfortable ride for driver and passengers. 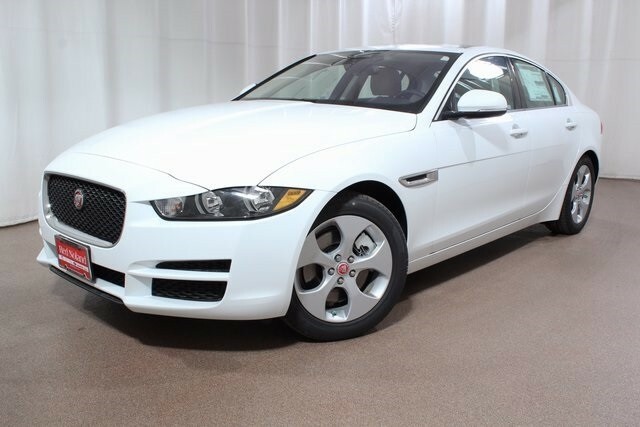 Jaguar Colorado Springs would like to introduce you to this luxury sedan. $399 per month for 36 month lease* with approved credit. Lease allows 10,000 miles per year. $4,995 due at signing which includes first month’s payment, $795 Acquisition Fee, and $3801 Down. Tax, title, and license extra. This offer expires 8/31/2017. Purchase at 1.9% APR for 60 months** with approved credit. Tax, title, and license extra. This offer expires 8/31/2017. Test drive the 2017 Jaguar XE at Jaguar Colorado Springs today! Let us show you all the exciting features of the XE. Then let us help you with the best financing options to allow you to drive one home.